From an early age, he manifested his independence in what is achievable. He attempts to take the roads less travelled, without being confined to tried and tested solutions or secure boundaries. 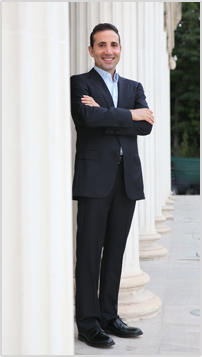 His activities extend primarily beyond Cyprus and embrace the sectors of energy and banking. He founded the Commercial Bank of Greece in Cyprus and served for seven years in the position of Executive Vice-Chairman. He is now involved in electricity generation with five power plants of installed capacity 1422 MW connected to the Pan- European electric network. From the position of the Chief Executive Officer of EuroAsia Interconnector he has been actively working towards the strategic upgrade of Cyprus in the international energy arena. His business philosophy derives from the values of honesty, integrity, altruism, a systematic approach to work and, above all, from highlighting the positive, be this related to his colleagues or projects on which he works. Nasos Ktorides also believes that it necessary to reciprocate the gift of life with love towards our fellow human beings. For this reason in 2008 he formalized his longstanding altruistic activities with the establishment of a not-for-profit, philanthropic fund, the Athanasios Ktorides Foundation. A recent significant project of the Foundation is the support of the “Heroes Photovoltaic Park”, the largest in Cyprus, with 10 MW of power on the land of the University of Cyprus. In 2009 his business scope and humanitarian sensibility was recognized by the Commonwealth of Dominica as the ideal credentials for the post as Honorary Consul of the country in Cyprus. The Prime Minister of Dominica awarded him the “Dominica Medal of Honour”, as well as the diplomatic passport of the country. Four international personalities, the President of the Republic of Serbia, the Prime Minister of the Commonwealth of Dominica, the President of the Republic of Cyprus Glafkos Clerides and the Archbishop of Athens and All Greece, letters to UNICEF encouraging the organization to use the good offices of Nasos Ktorides. On February 8, 2012, UNICEF declared Cypriot Mr. Nasos Ktorides as National Goodwill Ambassador. It should be noted that, with Antonis Samarakis and Eleni Glykatzi-Arveler, the first Cypriot UNICEF Goodwill Ambassador completes the trio of personalities of wider Hellenism who have enjoyed such recognition to date. the Athens and Boston Marathon, in North Pole and Antarctic Ice Marathon. At present he is training to run the marathon of Everest. 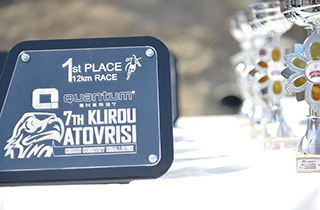 His love of the marathon ideal urged him, through the Athanasios Ktorides Foundation, to organize the first Nicosia Marathon in 2010 and to make an annual commitment to the establishment. He is a Freefall Skydiver and wingsuit pilot trained in Russia also a member of both British Parachute Association and United States Parachute Association. He is an experience pilot flying with his Power Paraglider.